Sitting in Mums favorite chair. All my photos are kept in a little tan case, we always enjoy looking through them, although some are of friends of our parents! but we keep them anyway. The little case used to be my school case. Alma Knight 1997. 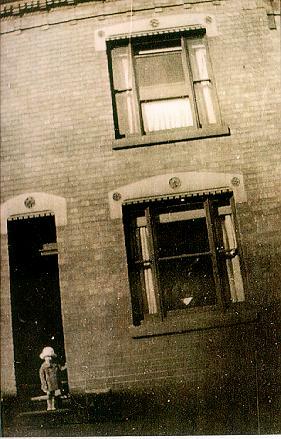 Outside no; 52, about 3 years old. I think my Mother took this photo. She made my coat, and my hat was white angora felt. 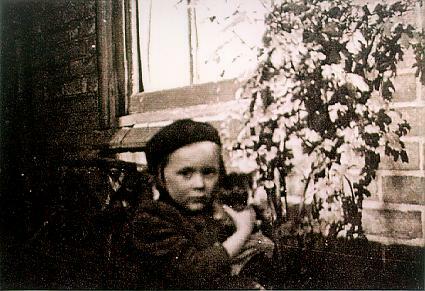 My sister Margaret with a kitten, taken in the garden of No. 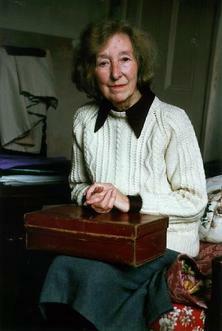 45. both Margaret and I usually chose a little cat of our own when 'Tibby' had a family. Me, at the home of a nice friend I used to work with. It was extremely hot weather. The Bradgate ferns looked so nice and cool and Grace gave me three roots to bring home. They are still alive and well in my garden. St Peters Church, Margaret and Tonys wedding, a very happy day indeed. 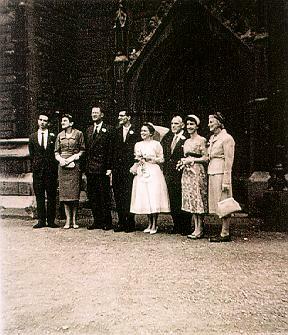 From the left - Tonys brother, their Mother, a friend, best man, Tony, Margaret, our Father, myself and our Mother. They were married by Canon Eaton. St Hildas Church, Melbourne Road. Mum with the Eaton family. 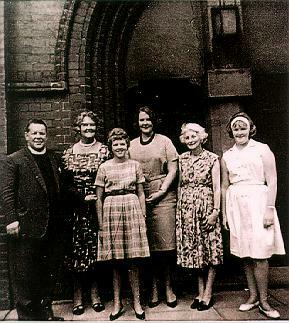 The late Canon Eaton, Mrs Eaton, daughters Dorothy and Rosemary and a friend from Holland, my mother is on the right in a pretty flowered dress. Not long after this photo was taken the church was badly damaged in a severe gale. It had to be pulled down and replaced by a smaller one which is still there today. 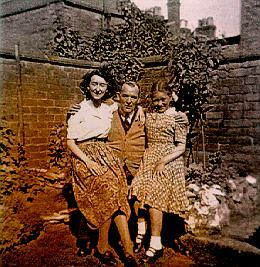 With Margaret sitting on Dads knee, a favourite photo taken by our Mother. 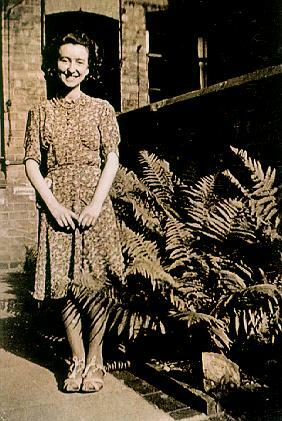 Margaret was at Junior School. The garden had been transformed after the bleak years of the 40 s, when we had an Anderson shelter where there is now a lawn. 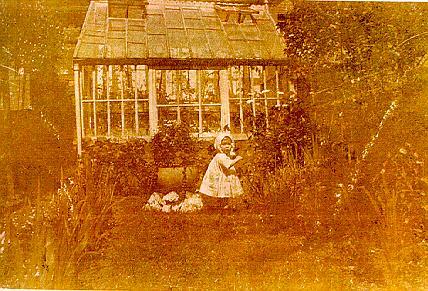 In the garden at 52 - A lovely garden, I used to love going into the greenhouse to see the geraniums and other lovely plants and seed trays, also to choose a little tomatoe, although someone had to take it off the plant for me.